Any action or condition that adds friction, opacity and/or cost to transaction processes detracts from the value sought by the principal parties in a trade. Proprietary market identifiers add unnecessary complexity and risk to the trading community. An open symbology framework for financial instrument identifiers can help the entire community of interest eliminate layers of complexity, introduce process transparency and reduce both operational risk and cost. Organizations can redirect resources to optimize efficiency or drive innovation. 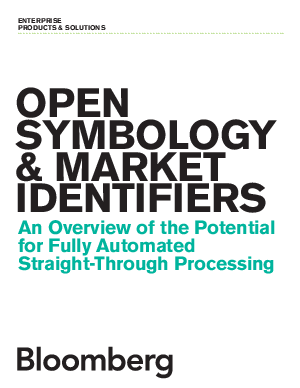 This whitepaper describes how open symbology will affect the securities industry.